A juvenile has been charged with first-degree murder in the shooting death of 18-year-old Ian Jewell. 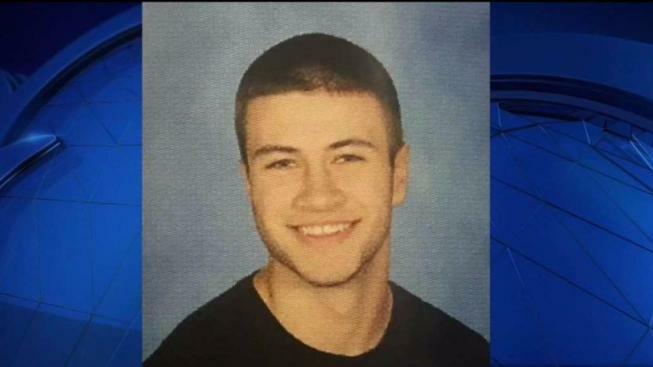 A juvenile has been charged with first-degree murder in the shooting death of an 18-year-old this weekend in Goffstown, New Hampshire. The New Hampshire Attorney General's office said Tuesday that a juvenile, whose name has not been released, allegedly shot Ian Jewell of Manchester to death during a robbery at the Ace Hardware Store on Depot Street Sunday afternoon. An alternative count of second-degree murder was also filed. Because the suspect is a minor, authorities did not release any additional information. Jewell was found suffering from a gunshot wound by police around 4:20 p.m. at the store's parking lot. He was taken to a local hospital, where he later died. 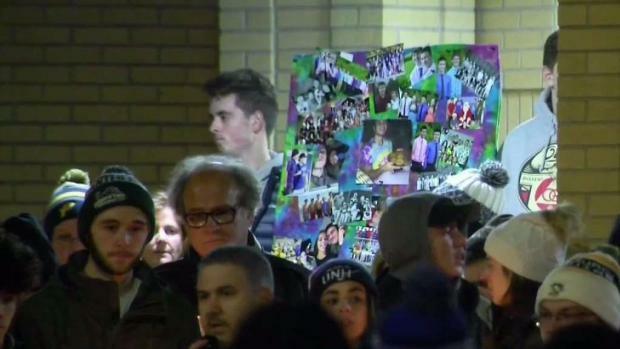 Hundreds of friends, Manchester Memorial High School classmates, and Market Basket co-workers turned out in Manchester, New Hampshire, Monday night to attend a vigil for 18-year-old Ian Jewell, who was shot and killed Sunday outside of a hardware store in Goffstown. Jewell, a student at Manchester Memorial High School, was honored by his classmates Tuesday, with students wearing tie-dye in his honor. "He was really positive, he tried to keep everybody positive. If someone was feeling down or getting bullied, he would step up and speak up for them," recalled classmate Matthew Gagne. "He was one of the popular kids. But most popular kids here are all snooty but he was different. He'd smile at everyone. If you tripped and fell in the hall, he was the one to help you pick up your books," classmate Katelyn Bisson said. The senior was just months away from graduation. Anyone with information is asked to call New Hampshire State Police at 603-223-8890.